​Pioneers whose submission meets the requirements of the Society are eligible for a Pioneer Certificate suitable for framing. 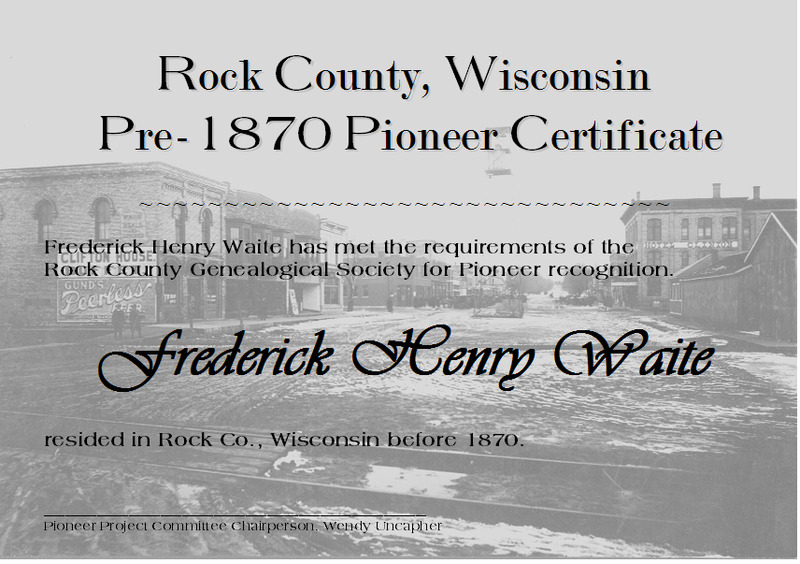 Pioneer Certificates (sample below) are also available to others with an interest in a Pioneer for $10 each. Pioneer submitters receive one certificate at no charge. Prepayment by check or money order is required with your certificate request. The downloadable order form for the purchase of a Pioneer Certificate is below.